Jan. 29, 2019 — The Banneker School Foundation will host its annual fundraising breakfast on Monday, Feb. 25, at Park University. The event begins at 7:30 a.m. in the Park Distance Learning Conference Center within the Parkville Commercial Underground on the University’s Parkville Campus. The event, in partnership with the University, will include an update related to restoration and fundraising efforts of the historic one-room structure, located at 31 W. 8th Street in Parkville, built in 1885 to educate children of color. 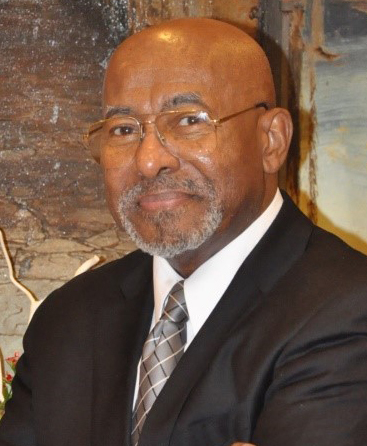 Carl Boyd, a pioneer in integration and renowned education consultant, will be the featured speaker. Boyd is the founder and executive director of STOOTS for Boots, an academic patriotism campaign whose mission is to motivate American students to become the world’s top academic achievers, in honor of, and in the same spirit of excellence as, U.S. service men and women. In addition, Arnold Rampersad, Ph.D., the Sara Hart Kimball Professor in the Humanities, Emeritus, at Stanford University, who will present Park University’s 18th annual Spencer Cave Black History Month Lecture on that same night at Kansas City’s Gem Theater starting at 7 p.m., will be introduced to those in attendance. Rampersad’s lecture, “Jackie Robinson, American,” will probe the ways in which Robinson exemplified the capacity of American’s to change the nation in the direction of justice, honor and individual success. He wrote Jackie Robinson: A Biography (published in 1998) after being selected by Robinson’s widow, Rachel, to tell her husband’s story. The Platte County Parks and Recreation Outreach Program continues to assist with restoration efforts. Tickets for the event are $35 per person and can be purchased at banneker2019breakfast.eventbrite.com/ or at the door the day of the event. Sponsorships are also available for $1,000 per table. For more information about the event or to purchase a table, contact Banneker School Foundation board member Adrian Singletary at singletaryad@gmail.com.